SAN MATEO, Calif., Nov. 30, 2018 (GLOBE NEWSWIRE) -- Plus Products Inc. (the “Company” or “PLUS”) (CSE: PLUS), the leading edibles manufacturer in California, is pleased to announce its financial results for the three months ended September 30, 2018. Record Q3 2018 revenue of $2.56 million representing a 617% increase over the three months ended September 30, 2017 and a 60% increase over the previous quarter (Q2 2018). Retail sales of PLUS grew 104% quarter-over-quarter to $8.0 million in Q3, as measured and reported by BDS analytics. Q3 2018 gross margin of $0.38M (15%) compared to -$0.17M (-48%) in Q3 2017. Strong cash position of $11.1 million dollars at end of Q3, prior to the closing of CAD$20 Million IPO on October 26, 2018. Announced closure of $10 million Series B-3 Financing. Strategic employee appointments representing strong industry leadership and diversity including Jennifer Tung from Facebook & Uber (Chief Risk Officer), Shiaosen Williams-Sheng from TCHO Chocolate & Défoncé (Director of Innovation), Tessa O’Dowd from Bare Snacks & Cameron Hughes Wine (Controller) and Marshall Tyler from Harvard Medical School (Science Lab Coordinator). PLUS™ Sour Watermelon Gummies and PLUS™ Blackberry & Lemon Gummies were ranked the #1 and #2 best-selling branded products in the latest quarter of retail sales data (Q3 2018), respectively, across all categories in California including flower, vaporizers, edibles, and topicals according to BDS Analytics. PLUS unit sales grew 97% from Q2 2018 to Q3 2018, improving its edibles market position from #4 to #1 in retail value of sales, according to BDS Analytics. Launched “CREATE”, a hybrid sour blueberry gummy as a full-time SKU after its success as a limited-edition flavor in April. Announced the launch of “HOLIDAY BLISS”, the 4th limited edition SKU launch of the year. Successfully completed a CAD$20 million IPO on October 26, 2018 on the Canadian Securities Exchange under the ticker “PLUS”. The financial filings are available for review on the Company’s SEDAR profile at www.sedar.com. Plus Products Inc. is a leading branded products manufacturer based in California. Its products consist of cannabis-infused edibles, which it sells to both the regulated medicinal and adult-use recreational markets. 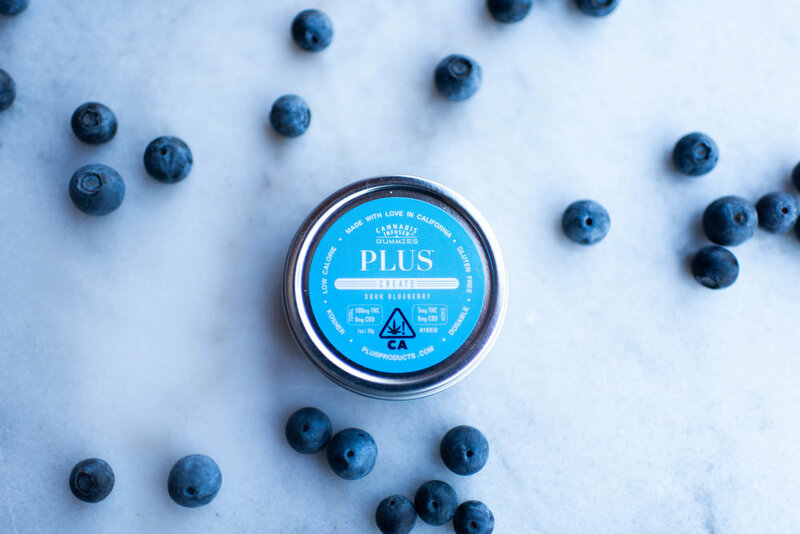 PLUS™ is currently one of the fastest-growing edible brands in California with several top-selling products. The Company’s mission is to make cannabis safe and approachable - that starts with manufacturing high-quality products delivering consistent experiences.